Pet Society has come out with yet another new activity for your pet. 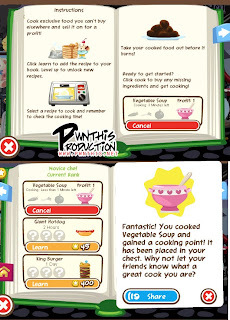 Now, you can cook and sell the food for a profit! You will start out as a Dishwasher. The more dishes you cook, the higher you will level up. Be sure to remove the food once it is done, or it will be burnt.